At this time of the year, we can often do with a little pick-me-up for skin which has been subjected to cold winter days and being blasted by central-heating. Not to mention the added effort of dragging ourselves into the shower in the dark mornings! 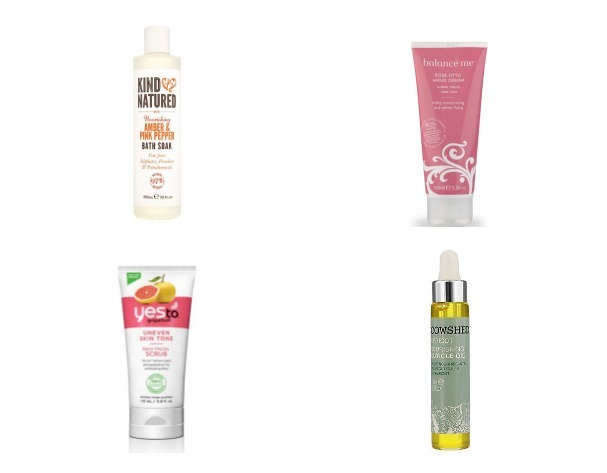 So we’ve picked a few of our favourite natural beauty all stars – products packed with good-for-you ingredients and soothing essential oils to give you a little bit of love over the winter months. If you want to splurge on some gorgeous natural skincare, we highly recommend Balance Me. 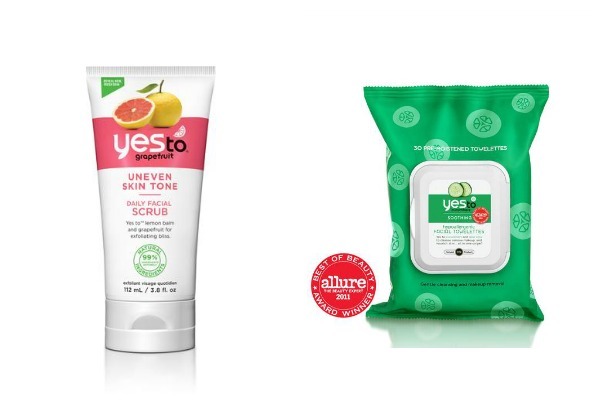 These luxurious products are ideal for a little treat for your beauty cupboard. We love the zingy, fresh scent of the Super Moisturising Body Wash (perfect for waking you up in the shower on cold, dark Monday mornings! ), and the Rose Otto Hand Cream is a lovely pick-me-up for winter-dried hands. If you fancy a change in your cleansing routine, check out their Pure Skin Face Wash, full of natural goodies to take care of your skin. We didn’t think it could be done – but the geniuses at Yes To have created biodegradable facial wipes, packed with natural ingredients. Removing all the guilt about using facial wipes as a quick fix when you roll in after a very late night and don’t want to sleep in your make up (just us?). Check out their Cucumber Facial Wipes. We also like their Grapefruit Facial Scrub for a once or twice-weekly exfoliation addition to your skincare regime – great for pepping up dull winter skin (and smells lush too!). 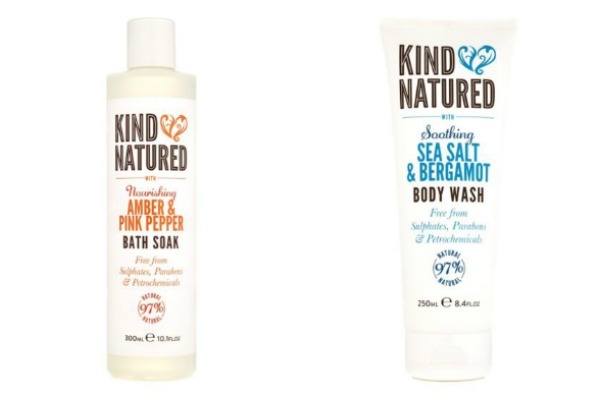 We recently discovered Kind Natured when on the hunt for a fancy bath foam (as you know we do love a winter bath!). Lots of lovely, fresh scents such as bergamot, lavender and ginger – and no sulphates or parabens. Their Amber Pink Pepper bath soak particularly impressed us – it’s a dead ringer for Molton Brown’s much more expensive version, at a fraction of the price! Perfect for sinking into a nice hot bubble bath this winter. 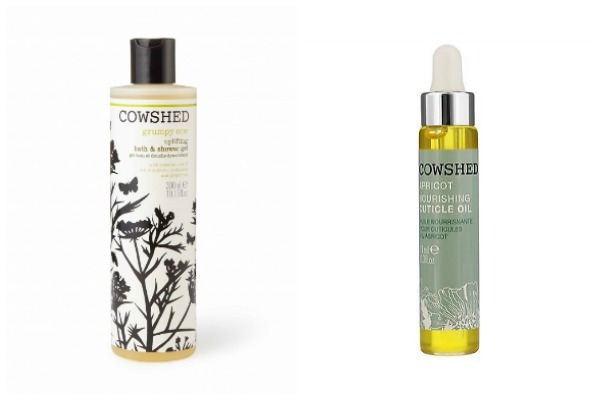 Try the Amber Pink Pepper bath soak or the Sea Salt & Bergamot body wash.
We’ve long been fans of Cowshed, and their range is now extensive. Whether you’re a ‘grumpy’, ‘saucy’ or ‘knackered’ cow (we’re definitely in the latter category at the moment! ), there’s something to suit every mood in these gorgeous natural products, which feature big hits of essential oils to relax, destress or energise you, depending on your current needs. Our current favourites are the Grumpy Cow Uplifting Bath & Shower Gel and our new discovery of the Apricot Nourishing Cuticle Oil – a few drops helps revive nails after removing nail varnish. So there you have it – a few all-natural beauty all stars to pack some natural goodness into your beauty and skincare regime. What are your favourite natural products? Share with us – @tweetjanes.